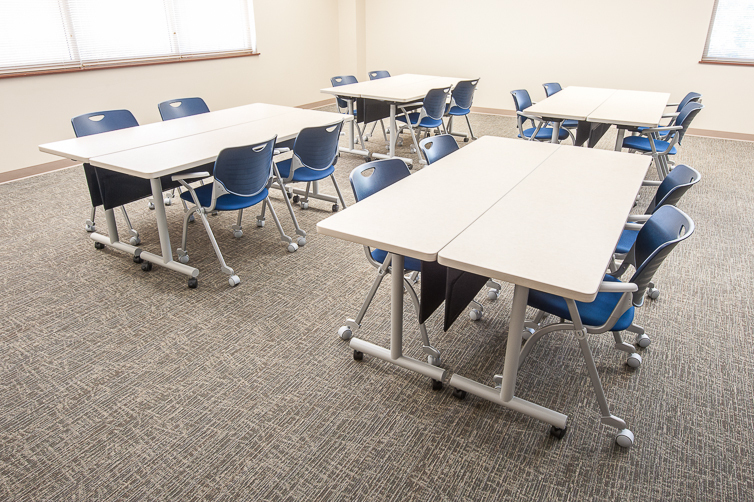 Serving every need in your school, our office Motion Tables define “multi-purpose.” Choose from computer tables, multi-purpose tables, unique shapes, or conference tables and round and square tables for your office. Available in a variety of sizes, shapes, and options, there is sure to be a Motion Table to fit your commercial office furniture needs. With plenty of options to choose from like modesty panels, desktop power, flip-top, and adjustable height, our tables present almost unlimited aesthetic and functional opportunities for every school or office table need. Whether for a meeting or a simple change of pace, there’s a growing need for standing desks and adjustable-height office tables. Influence Tables deliver. 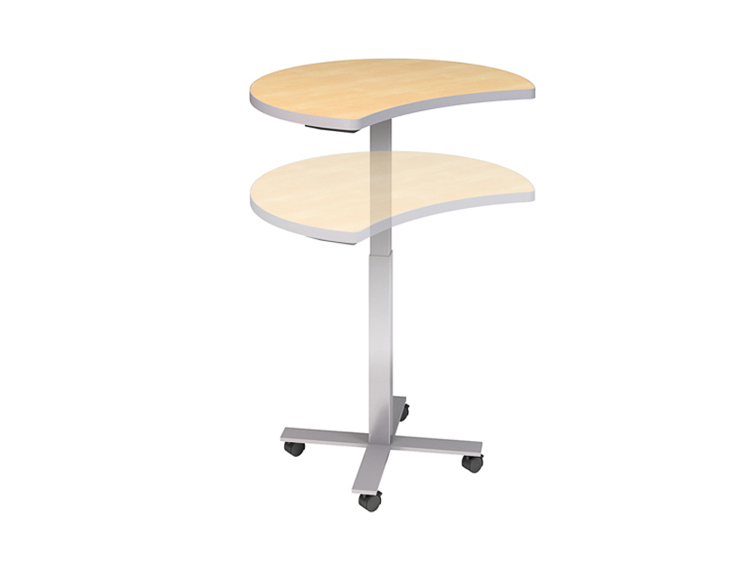 Choose from a pneumatic counterbalance height adjustment for your office tables for easy height adjustment. This option is the easiest height adjustment option without power and supports desktop weight of approximately 40 lbs. If you have two monitors and a lot of items on your desk, a crank adjustment table for your office might be the better table option. This option for your adjustable height desk will support up to 200 lbs. Perfect support for dual monitors, a CPU, and plenty of accessories.